Lemax Christmas Tangle miniature figurine piece depicts a young boy who’s pet dog has tangled them in Christmas lights whilst attempting to decorate the outdoor Christmas tree! 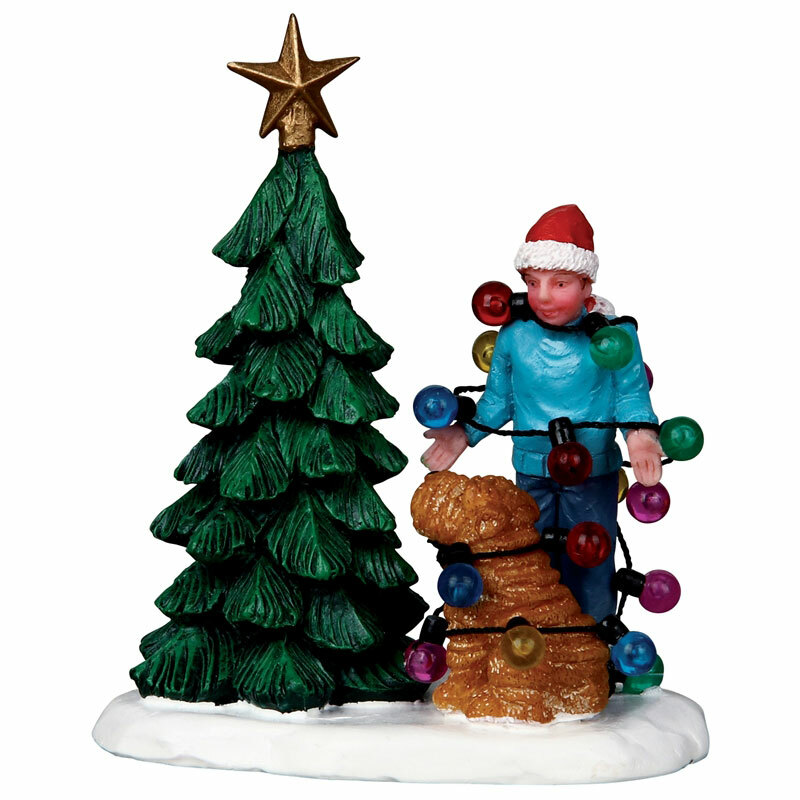 Lemax Christmas Tangle miniature is suited for placement in and amongst a seasonal Lemax Christmas village display. A Lemax Santa’s Wonderland themed figurine piece which joined the Lemax collection in 2010. Christmas Tangle comprises of multiple hand painted polyresin figures on a single individual snowed base to compliment your seasonal Lemax Village display.